The summit of Modaki seen from Katsiveli. 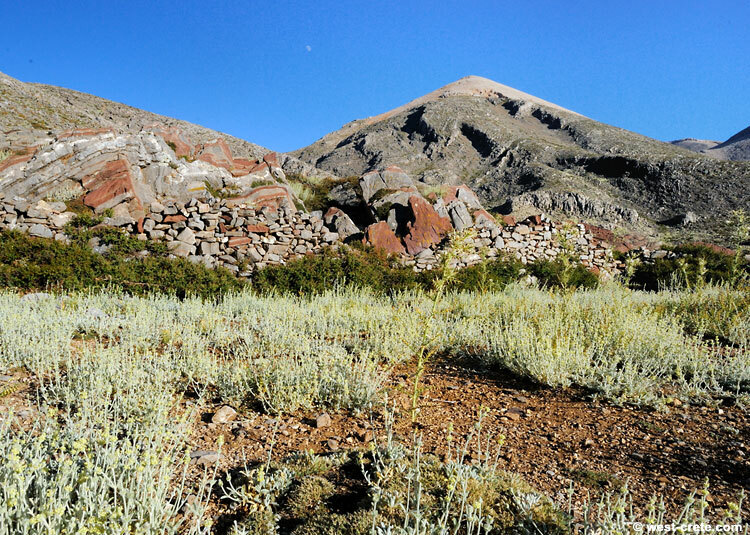 In the foreground malotira grows in a field surrounded by the remnants of a wall. At some point in the past the shepherds might have grown crops here during the summer. Maybe potatoes?